Nepal has banned Indian notes because New Delhi is refusing to exchange old demonetised currency since Kathmandu hasn’t acted on its demands for Madhesis. 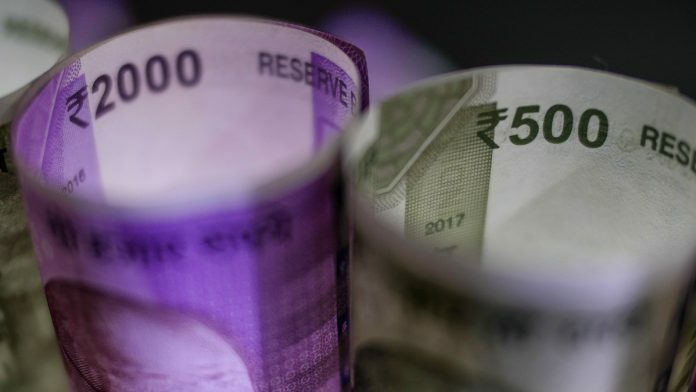 New Delhi: Nepal’s decision to ban high-denomination Indian currency notes of Rs 2,000, Rs 500 and Rs 200 is linked to the Madhesi issue that had led to a major blockade of the India-Nepal border in 2015, taking the bilateral relationship to an all-time low. Diplomatic sources told ThePrint that India is “upset” with the fact that Nepal has not yet carried out the constitutional amendments that will accommodate the interests of the Madhesis and other ethnic marginalised groups there, and is holding out on exchanging old demonetised notes till it does so. According to the Nepalese government, currency notes worth around Rs 10 crore are still lying in the banking channels of both countries. The decision by the Nepal Rastra Bank (NRB) last month is in response to India’s stand. Sources said the NRB’s decision has become a “sticking issue” between both countries, and has the potential to flare up further. “This (a resolution) will not happen till the time Nepal resolves the Madhesi issue,” said a senior official involved in the discussions, who didn’t want to be identified. The problem has its roots in India’s demand to give more representation to the ethnic Indian-origin community of the Madhesis, residing in Nepal’s Terai region, under the new Constitution of Nepal. The issue dates back to 2015, when Nepal adopted a new Constitution but failed to accommodate the demands of the Madhesis, Tharus and Janajatis. This led to a massive blockade of the Indo-Nepal border — the supply of essential items from India to the Himalayan nation got disrupted, leading to a humanitarian crisis. About 50 people lost their lives. Nepal blamed India for the debacle, and an anti-India sentiment rose in the country. After demonetisation in November 2016, India exchanged the old notes that were lying with the rest of its neighbouring countries, especially Bhutan which also uses Indian currency, but not with Nepal, as it was trying to get Nepal to act on its demand. The matter was discussed extensively when Prime Minister Narendra Modi last visited Nepal in May 2018 and had a bilateral meeting with his Nepali counterpart K.P. Sharma Oli. Last month, Nepal’s foreign minister Pradip Kumar Gyawali and his Indian counterpart Sushma Swaraj met but failed to arrive at a solution on both the issues. Gyawali had urged Swaraj to have the old Indian currency notes exchanged with the Nepalese Rupee. He had also demanded that the NRB and the RBI jointly issue a circular allowing the usage of new Indian currency notes in Nepal within a certain limit, according to sources. “The central bank of Nepal has disallowed the usage of all demonetised notes in Nepal. They have sent a communication to the RBI earlier this month regarding high denomination Indian currency notes. The matter is under examination by the concerned authorities in India,” Raveesh Kumar, spokesperson for the Ministry of External Affairs, told ThePrint. Rakesh Sood, distinguished fellow at the Observer Research Foundation and India’s former ambassador to Nepal, has criticised the non-resolution of the matter. “Not resolving the matter related to exchange of such a small amount reflects lack of focus on an important bilateral relationship like Nepal, because then it allows irritants to fester,” he said. Interestingly, also in 2015, a year before demonetisation, Prime Minister Modi had changed an age-old policy and allowed Rs 500 and Rs 1,000 notes as legal tender to be carried to Nepal. He did this as part of his ‘Neighbourhood First’ policy. Prior to that, only Rs 100 notes were allowed to be carried to Nepal, with a cap of Rs 25,000, due to fears of counterfeiting. But now, Indians travelling to Nepal cannot ever carry Rs 25,000 in cash and have it exchanged for Nepalese Rupees, as per the new Foreign Exchange Management directive by the NRB.